Simply speaking, on-time delivery is the ability of businesses to meet the customers’ demands and deliver the services or products to the customers punctually. It sounds easy as pie, but it weights. You must have replayed enough to learn by heart a hit song of a man standing in front of the church powerlessly lost her woman for just arriving 25 minutes too late. It was a heartbreaking story of the previous decade on being late a few minutes, on the other side, things happen similarly to e-commerce today. A lot of things in this world are partial, but the priceless gift that everybody might own equally is 24 hours per day. And perhaps, hardly a person could long to throw such a precious day of their life to do nothing than wait for shippers. Too many things have been said on the importance of on time delivery to the point it seems as plain as no more than a theory of being punctual to people who already know how exactly it influences on brand‘s prestige, reputation and reliability, as well as customers’ satisfactory, yet stay conform with thousands of orders arriving late every day in practice. Examine why delivery service is important? Walk in the shoes of KFC, the fast-food giant, coped with a disastrous crisis that never happened in its history, of more than 800 in 900 of its outlets in UK had been temporarily closed in early 2018, where the heart of the problem coming from nowhere than their delivery firm, DHL. An incident to its storage depot system leading to distribution interruption turned out a big fat chaos as the delivery was failed to supply enough chicken to the restaurants and heavily disrupted the chain operation. KFC eventually faced with strong public complaint and disappointed reactions all over England as well as hundreds critics from financial news worldwide, pushing KFC to the hardest wobbling weeks ever in its business, proving by the declined number in its revenue- approximately 1 million Pounds loss per day. Indeed, delivery failures could get you into enduring loud consequences if taken lightly. In short, you need to build a shipping system or outsource to a credit name in logistic industry. 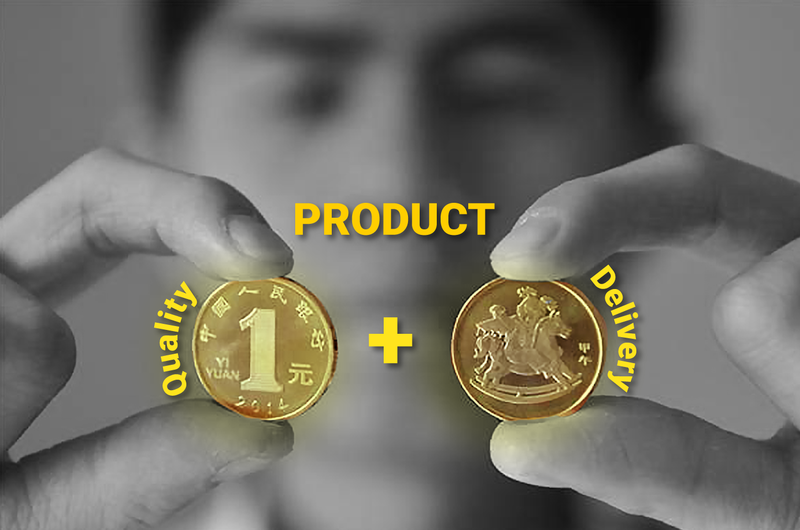 The quality of ecommerce product should comprise of the inherent good values and delivery services. Poor delivery services are server as you sell a low quality product. That may lead you to customer and money lost, you may think of it like a norm “customers may come and go and the new one awaits”, and you still have other chances of conversion. But due to the seeding of online reviews and rating sites, customers’ voices are heard by other customers. If they turn their back on your services, that trust soon gone to your rivals and your business may evaporate rapidly. Therefore, the adherence to delivery date and promise time becomes more influencing than ever to the existence of ecommerce companies, particularly Magento stores, and in general, its competitive ability within their world. Those who cannot meet the assumption delivery date have long way to reach its potential success. 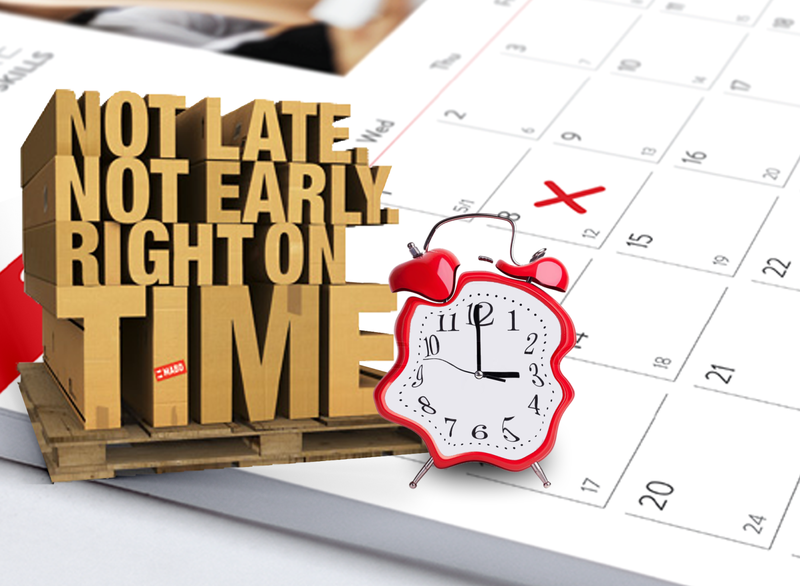 Discover the definite benefits that on-time delivery brings about in the following part. The constantly on-time fulfillment gradually builds up customers’ reliability, thus, through service – branding works well than other PR opportunities. Their satisfaction tends to drive them to share their positive ratings and reviews on the products through different channels, to bounce back to increase their credibility. On the long run the companies win loyalty and support from their customers as true friends. With new customers, punctual delivery is marked as the first test, a fundamental requirement under any circumstances. Delivery is also the first direct interaction between a new customer and the company beside the inherent good values. Companies of punctual shipments will have good impressions and open gates to other transactions with customers. Delivery on-time could mean every procedure of delivery parts perform rhythmically: from its distribution of storage, the logistics plans – means of transportation & assigning routes, realistic delivery schedule and management, to the right personnel in-charge. Otherwise, there are illogical elsewhere that the company should make alterations and amendments as quick as possible if they meet difficulties in deliveries. In a nutshell, on-time delivery only does good deeds for ecommerce companies. We advise company to build a close partnerships with reputed logistic services, the other way to accomplish this concern is to establish an efficient shipping system on your own, which brings more further benefits for you. I like how you mentioned that the first interaction between a company and customer is with the delivery. That would make it all the more important to give off a good impression. That would definitely improve the likelihood of the customer using the service again. with the structure for your blog. Is that this a paid subject or did you customize it yourself?